Patrick Hampson currently serves as founder and managing partner of HM3 Partners a private equity investment and advisory firm. Pat was previously founder, Chairman and Chief Executive Officer of MED3OOO one of the largest and most advanced healthcare management and technology service providers in the United States. In 2012 MED3OOO was acquired by McKesson Corporation, currently ranked 15th on the FORTUNE 500 and is the nation’s largest health care services company. Pat has continued his commitment to important causes and is the Chairman of the HM3 Partners Independence Fund. The Independence Fund is a charitable not for profit corporation with a mission focused on contributing, advising and making investments in causes that support Country, Community and Caring causes and organizations. Pat has a history and personal commitment to advancing the performance of medical practices, health systems, and physician networks through provider collaboration and a focus on strong patient provider relationships. Mr. Hampson is a well-known speaker on physician alignment and hospital affiliation strategies, and is an advocate for physician leadership and their role in improving the cost, quality and access to healthcare in the United States. In 2002 Mr. Hampson received the Ernst & Young Western Pennsylvania and Ohio Entrepreneur of the Year Award and has continued his involvement with this program as a judge for several annual competitions. Mr. Hampson has been an investor and operator in the healthcare technology and services industry. He has invested and served on the boards of Medic Computer Systems (NASDAQ), which was sold to Misys PLC for over $900 million and A4 Health Systems (private), which was sold to Allscripts (AHS:NYSE) for over $270 million. Mr. Hampson currently serves on the board of Butler Health System and is an investor and board member of L&P Services Inc. and has served on numerous other healthcare boards and advisory boards. He is a 1977 graduate of Ohio Northern University, and resides with his wife Debi and three children in Gibsonia, Pennsylvania. Paul Mango is a Director in the Pittsburgh office of McKinsey & Company. 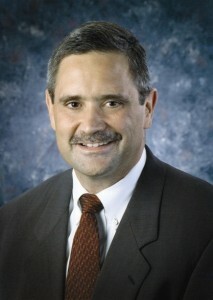 He led the Global Health Care Practice from 2003 to 2011. Paul has led recent health care engagements spanning a broad spectrum of strategy, operations, and organization topics, with an increasing emphasis on health reform, the impact of consumer-directed health, development of distinctive service strategies, application of lean manufacturing principles to patient care delivery processes, and medical tourism. He works extensively with some of the country’s largest health insurers and provider organizations and has also spent a significant amount of time serving health care clients in Europe, Asia, and the Middle East. Paul is currently leading McKinsey’s efforts to understand the implications of health reform legislation on health insurers, providers, and employers. Prior to joining McKinsey in 1988, Paul served five years as a field artillery officer in the US Army. Paul’s formal education includes a General Engineering degree from West Point where he graduated as a distinguished cadet in 1981, and a Masters in Business Administration from Harvard University where he graduated as a Baker Scholar in 1988. Paul is currently an Advisory Board Member for the Leonard Davis Institute for Health Economics at the University of Pennsylvania. Jim Slomka. A native of Pine Township, Jim attended the United States Military Academy at West Point and graduated in 1994. Jim was commissioned an Aviation officer and spent 10 years in the US Army as a UH -60 Blackhawk Pilot. After the Army, he returned to Pittsburgh to attend the University of Pittsburgh’s Katz business school where he earned an MBA. Jim is currently the Vice-President of National Accounts at John Deere Landscape. He resides in Pine-Richland with his wife Kristen and their 3 children Connor, Anton, and Tyler. Christopher A. Cafardi serves as a member of the board of directors and legal counsel for the HM3 Partners Independence Fund. 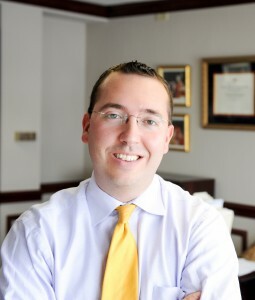 Christopher is one of the founding members of Cafardi, Ferguson, Wyrick, Weis + Stotler, LLC. He currently serves as Managing Member of the Firm. 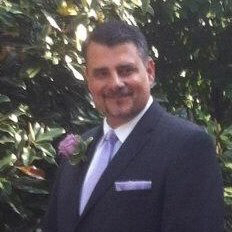 Prior to CFWW+S, Chris worked for more than eight years at two different national law firms. He has broad experience in complex commercial matters, including construction, labor and employment, estates and trusts and charitable and non-profit organizations. He also focuses his practice on business matters ranging from corporate formation to employment and contract matters and has represented clients in extended negotiations, arbitration and at trial in both federal and state proceedings. 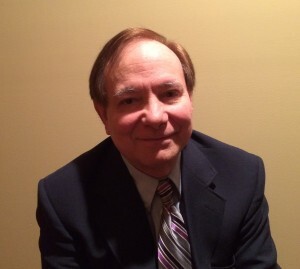 In addition to his practice, Chris is an adjunct faculty member at Duquesne University School of Law. He was as a member of the inaugural board of directors of Cardinal Wuerl North Catholic High School, Inc., serving as the board’s Chairman from 2007-2009. Chris is active with several local charities and organizations, including service as a board member of the Western Pennsylvania St. Thomas More Society. He is also active in his community, serving as a varsity assistant coach for Pine Richland High School’s football program. 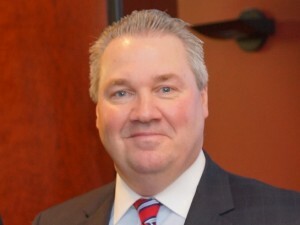 President of the Southwest Region of Northwest Savings Bank, Christopher Martin is responsible for the growth and profitability of the bank in southwestern Pennsylvania. In addition to twenty-nine community banking offices in Allegheny, Armstrong, Butler and Washington counties, Chris coordinates all business development efforts in his region through Northwest business lines and personnel. Chris joined Northwest in 2006, bringing sixteen years of sales, banking and lending experience. Prior to his appointment as Southwest Region president, Mr. Martin served as senior vice president of Sales and Customer Service for NexTier Bank. Chis received his bachelor’s degree in economics with a minor in Spanish from Westminster College. He is a graduate of the Graduate School of Executive Bank Management at Emory University in Atlanta, GA, and the Pennsylvania Bankers Association (PBA) Commercial Lending School at Bucknell University in Lewisburg, PA.
Chris currently serves as chairman of PBA’s Group 8. He is also a member of the Board of Directors for the trade association of the PBA, and the finance chair of the Butler County Family YMCA. Chris also serves in an advisory capacity to several local non-profit organizations. Active in his hometown, Cranberry Township, Chris volunteers his time to his passion of developing and instilling integrity, respect, sportsmanship, fair play, honor, work ethic, responsibility and teamwork to local youth. To deliver this message, he serves as an assistant coach for youth baseball, youth soccer, youth softball and youth basketball. He and his wife, Holly, and their children, Karlie and Bady, live in Cranberry Township. Northwest Savings Bank operates 165 community banking offices in Pennsylvania, New York, Ohio and Maryland. Founded in 1896, Northwest is a full-service financial institution offering a complete line of personal and business banking products including employee benefits, investment management services, insurance and trust. Northwest Bancshares, Inc., the holding company for Northwest Savings Bank, is listed on the NASDAQ Global Select Market as NWBI. More information about Northwest can be found online at www.northwestsavingsbank.com. Tom Merhaut is owner of A.T. Merhaut Religious Goods in Allison Park, PA. He received his B.A. from Thiel College in Greenville, PA in 1983, where he also played and captained on both the football and baseball teams. Tom graduated from Richland High School in Gibsonia, PA, in 1979. In his spare time, Tom coached for seven years in the youth football organization in Gibsonia. He also coached in the youth baseball association for ten years. Tom is a Eucharistic Minister in his church, Saint Richard Gibsonia, and is a member of the Pine Richland Football boosters. On Friday nights in the fall, Tom spots for the PA announcer at the Pine Richland football games. Tom enjoys golf, beer and cigars. He lives in Gibsonia with his wife, Mary, and four children, Myranda, Lydia, Luke and Mike. Employed twenty-seven yrs. in the Coatings and Resins division of PPG Industries as a research chemist in various capacities. Started career as a Chemical Technician in the Advance Research group that specialized in the synthesis of new monomers/polymers, and the development of industrial and automotive electrodeposition coatings. Spent the next several yrs. developing primers, top-coats, and dual-layer coatings for the Automotive Aftermarket group. Transferred to the Automotive Original Equipment group that developed primers, adhesion promoters, finished single and dual-layer coatings. After suffering a cervical spinal cord injury, transferred from the laboratory to the Chemical Regulatory group responsible for Occupational Safety and Health Administration (OSHA), Environmental Protection Agency (EPA), Canadian Environmental Protection Agency (CEPA), Toxic Substances Control Act (TSCA), and Transportation of Dangerous Goods (TDG) compliance. Received a B.S. in Organic Chemistry from the University of Pittsburgh, M.S. in Inorganic chemistry from Duquesne University, and a degree in Financial Planning from Boston University. Currently resides in Gibsonia with wife Denise and two children. Mike has spent his entire professional career (nearly 33 years) in radio, and has been with CBS for over 28 years. He joined CBS in 1985, where he was a part of CBS Radio Representatives in New York City, the company’s in-house national sales firm. Mike held various sales and sales management positions at CBS Radio Representative before he moved to the CBS Radio Network as Eastern Sales Manager. 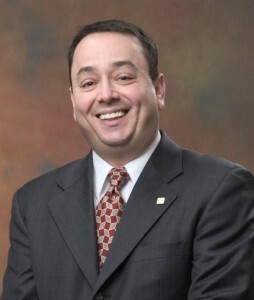 In 1996, CBS moved Mike to Pittsburgh where he has spent the past 17 years; first serving as General Sales Manager for KDKA-AM, then Vice-President & General Manager of KDKA-AM, and currently holds the position of Senior Vice President & Pittsburgh Market Manager for all of CBS Radio’s Pittsburgh properties and operations. Prior to joining CBS, he worked in sales as an Account Executive at two radio stations (WGRQ-FM & WKBW-AM) in Buffalo/New York. Mike is a native of Western Pennsylvania. He was born and raised in Bradford, and attended the Indiana University of Pennsylvania, where he majored in communications media and worked at the University’s radio station (WIUP-FM). Mike, his wife Barbara, and three sons reside in Pine Township, north of Pittsburgh. Co founder of Transport U LLC. Steve has more than 25 years experience in patient/medical and employee transportation. Steve served as Director of Parking and Transportation at UPMC Health System, where he was responsible for the transportation of 2,500 patients per day and more than 8,500 employees per day. Steve and Maureen enjoy spending time with their two sons Steven Jr, Zachary and granddaughter Aalyiah at their cabin in the Alleghany mountins. Steve has also served as Eucharistic Minister in his church at Saint Richards Catholic Church Gibsonia for the past 20 years. Steve and Maureen reside in Pine Township, north of Pittsburgh. 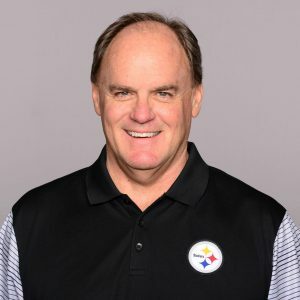 Kevin Colbert is in his 19th year with the Steelers, after joining the team on February 15, 2000. Colbert has helped assemble teams that have won two Super Bowls (XL and XLIII), three AFC Championships, nine division titles, earned 12 playoff berths and recorded at least eight wins in 17 seasons. Colbert oversees the personnel area of the team and supervises the scouting staff. Among his duties, he is in charge of administering player acquisitions and transactions, including the NFL Draft, free agent signings and trades, and evaluating pro and college personnel. He also serves as the Steelers’ liaison with the NFL office and the other NFL teams on football matters. Colbert served as the Detroit Lions’ pro scouting director from 1990-99. He was responsible for scouting NFL players, NFL Europe and the Canadian Football League. He also assisted in the evaluation of college talent. Prior to joining the Lions, Colbert spent five seasons as a college scout for the Miami Dolphins (1985-1989) and one season (1984) with the BLESTO Scouting Service. Colbert began his career as a coach and has experience in three sports – football, basketball, and baseball. He was the backfield coach and recruiting coordinator at Ohio Wesleyan University for three years (1981-83), and in 1984, he also served as the school’s head baseball coach. From 1979-1981, Colbert was a graduate assistant basketball coach at Robert Morris University. He also served as the school’s head baseball coach in 1981. Born and raised in Pittsburgh, Colbert graduated from North Catholic High School and received his bachelor’s degree from Robert Morris in 1979. He and his wife, Janis, have three children, Kacie, Jennifer and Daniel, and three grandchildren, Avery, Colby, and Brock. 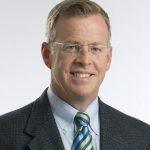 Larry Richert is the host of the KDKA Morning News with John Shumway weekdays from 5-9am on NewsRadio 1020 KDKA. Larry has been a shining star in Pittsburgh radio and television since he came to KDKA in November of 1988. There was a 10 year period where he was a weather anchor for KDKA-TV. He joined the KDKA Morning News in 2001. His dedication to Pittsburgh made him the perfect ambassador for the city and awarded him the Vector’s Richard Caliguiri Award. As Larry grew up he traveled through-out the city to many towns helping to shape his love of Pittsburgh. He was born in Millvale and raised in McCandless Township, and then attended St. Ursula grade school in Hampton. Next he progressed to North Allegheny High School where he graduated and journeyed to Clarion University where he received a Bachelor of Science degree in Communications. Outside of radio, Richert is the public address announcer at Heinz Field for all Pittsburgh Steelers home games, a part of the University of Pittsburgh football radio team for pre-game, sideline and post- game locker room shows and since 1985 he has served as the voice of NFL Films/Steelers Highlights. Larry also co-wrote and co-produced a feature family film called “Amazing Racer” starring Lou Gossett Jr, Charles Durning, Eric Roberts and many more well known stars! Larry has joined the HM3 Independence Fund Board and has committed his time to helping others wherever he can with numerous charities in the region. He supports our veterans through “It’s about The Warrior Foundation”, is the Honorary Chairperson for the American Cancer Society’s annual Golf Classic and the JDRF Gala event plus the McGuire Memorial Home, just to name a few.